In a Pads for Pedalling group test, quite possibly the most important factor of all is comfort. 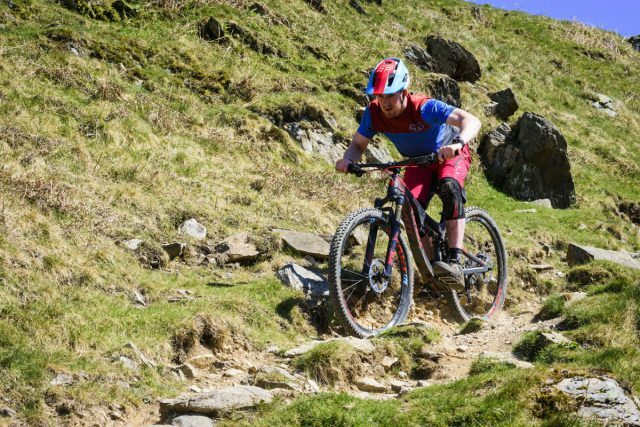 In speaking with representatives from each brand and with other riders out on the trail, it became abundantly clear that if a set of knee pads isn’t sufficiently comfortable, then riders are far less likely to wear them on every ride. And Murphy’s Law dictates that the one ride you decide to skip the knee pads, is the ride you’ll definitely do yourself a mischief. 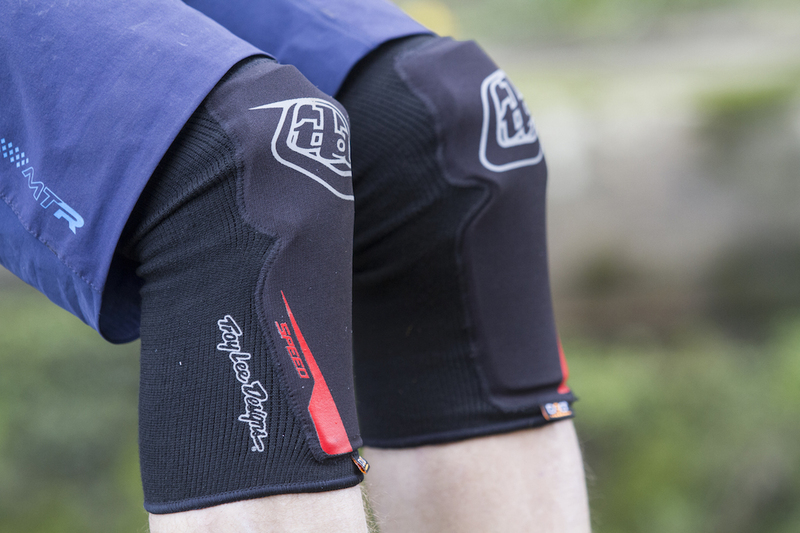 Signalling just how good the new generation of lightweight knee pads has become over the years, we had a very difficult time narrowing down a winner. 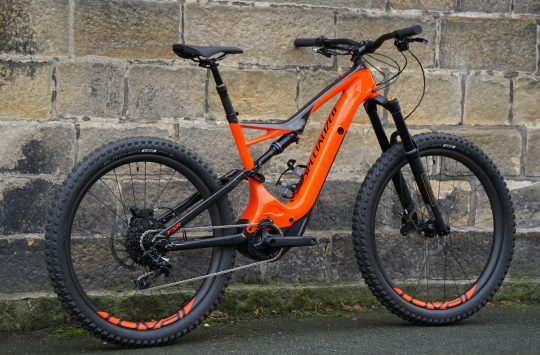 Some of the comfiest options included the flexible 661 Recons, and the supple Fox Launch Enduro pads. All minimalist on protection, but all super comfortable and nearly unnoticeable while on the bike. For riders who like to pedal, having a lightweight and comfortable set of knee pads is paramount for all-day comfort. Photo: James Vincent. Before going any further though, I should point out that comfort is almost entirely subjective. Even within our pool of test riders, there were pads that some riders absolutely loved but were equally detested by others. Small differences in sizing, riding styles, and the addition of straps can make one pad a painful mess for one knee, and a delightful slipper for other knees. But the one pad that was universally loved amongst testers? The Troy Lee Designs Speed Knee Sleeves. 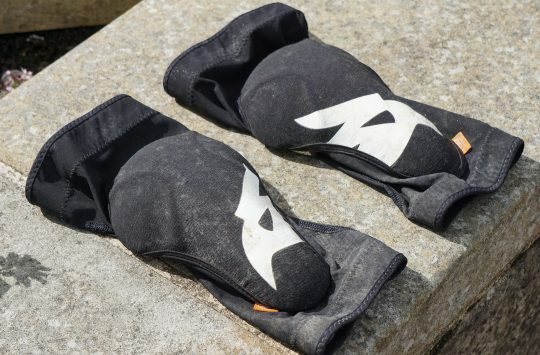 The Speed Knee Sleeves are the lightest weight option from Troy Lee Designs, and so these were an obvious pick for our ‘Pads For Pedalling’ group test. Also available in an elbow version, the Speed Knee Sleeves use a knitted compression sock-style construction without any need for additional straps. Taking inspiration from its long-standing history with motorbikes, Troy Lee Designs has successfully transferred its expertise into the mountain bike market with a comprehensive range of protection wear and apparel. With everything from knee braces and wrist guards through to chest protectors and full-face helmets, TLD produces range of protection for everyone from World Cup DH racers through to casual weekend warriors. 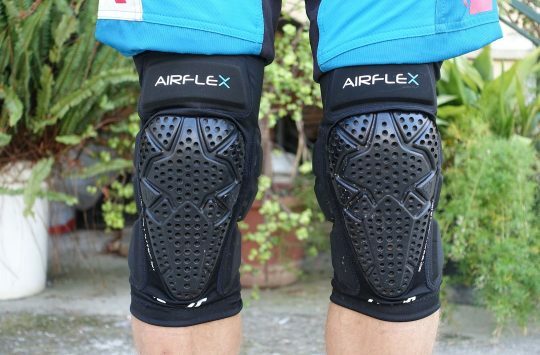 Sitting in a crowded range of nine knee-pad options, the Speed Sleeves occupy the lighter end of the spectrum alongside the minimalist Method cross-country knee sleeve and the 5400 knee guard. I’ve used the 5400 knee guards before and wasn’t particularly impressed with the stiff foam padding and coarse fabric construction. The Speed Sleeve, however, is a completely different kettle of fish. The woven fabric offers a lovely snug fit, though it’s thick construction isn’t as breathable as other pad options in our group test. Using a 360° seamless construction, the TLD Speed Sleeve pulls on like a thick knee warmer. 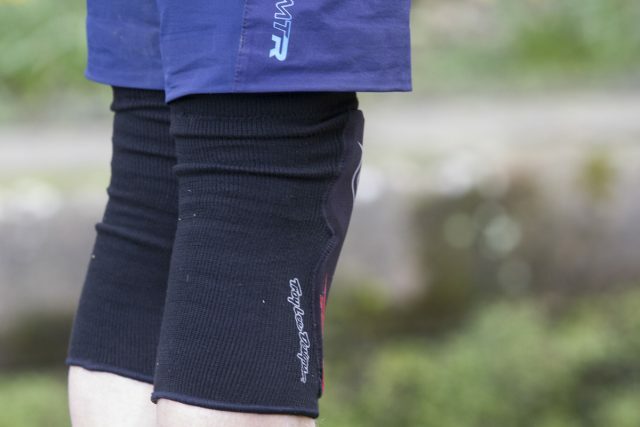 Made from a closely woven fabric that feels a bit like wool, the Speed Sleeves offer a compressive fit that allows them to stay firmly in place without any need for extra straps. While the fit is beautifully snug, the mechanical stretch built into the fabric keeps them flexible while pedalling. There isn’t a huge amount of protection on the Speed Knee Sleeves, though they are minimalist pads after all. The only problem with the thick woven fabric is that it is noticeably warmer compared to those knee pads that use mesh instead. 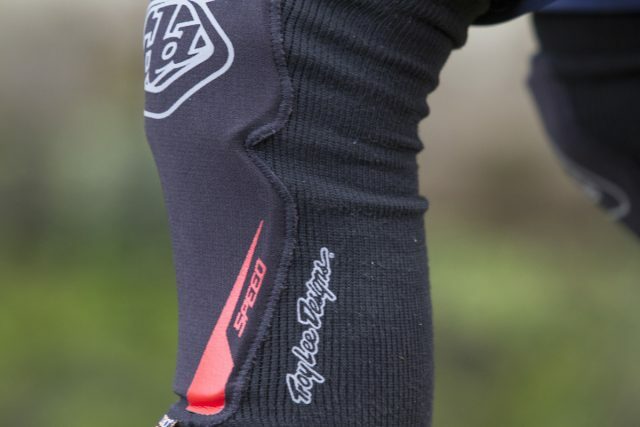 That’s actually been a plus for our testers in the colder months, though riders in warmer climates may find the Speed Sleeves a little too insulated for their liking. That said, the thick fabric is highly effective at warding off scrapes and cuts, meaning you’re far less likely to end up with open wounds filled with god-knows-what inside them. The padding that is there is a 4mm thick D3O panel that offers flexibility and impact absorption in one. The Speed Sleeves come in three sizes: XS/S, M/L and XL/2X. While every other pad we used for this group test were Medium, we went with the smallest Speed Sleeve after discovering the M/L size was a fraction too big. With a tight fit, I did find them a little too restrictive on the first couple of rides. They do take a few hours of saddle time before the fabric settles somewhat, but once bedded in, the Speed Sleeves feel like a second skin, with great flexibility and adaptability to different shaped knees. 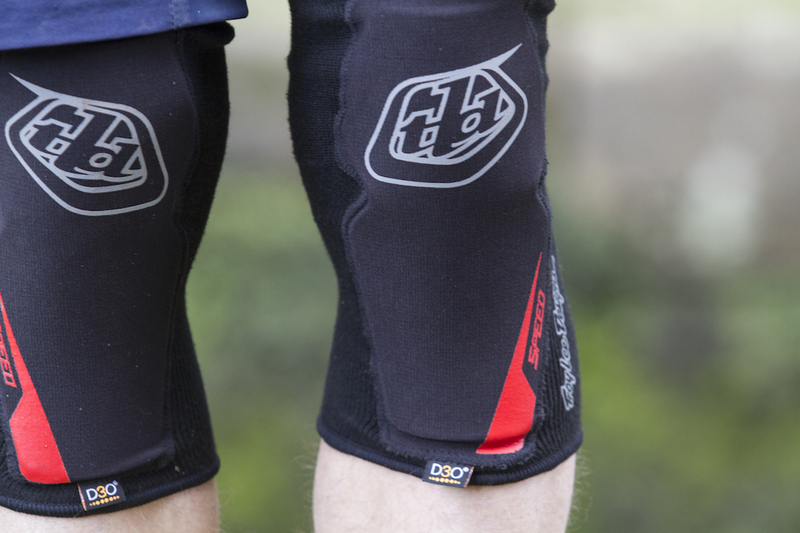 For hard hits with the earth, the Speed Knee Sleeves offer good protection. For riding much rockier terrain, we’d recommend something with more generous padding. Photo: James Vincent. There isn’t a whole lot of armour built into the Speed Sleeves, but what there is high-quality stuff. A clever D3O panel over each knee is pliable to the touch, but as soon as it takes an impact the molecules lock together to firm up and help distribute the force. The same material is found in some of the other pads on test and speaking from experience, it’s highly effective. To improve the Speed Sleeves further, we’d love to see an extra panel of D3O padding on either side of the knee for added protection against side impacts. 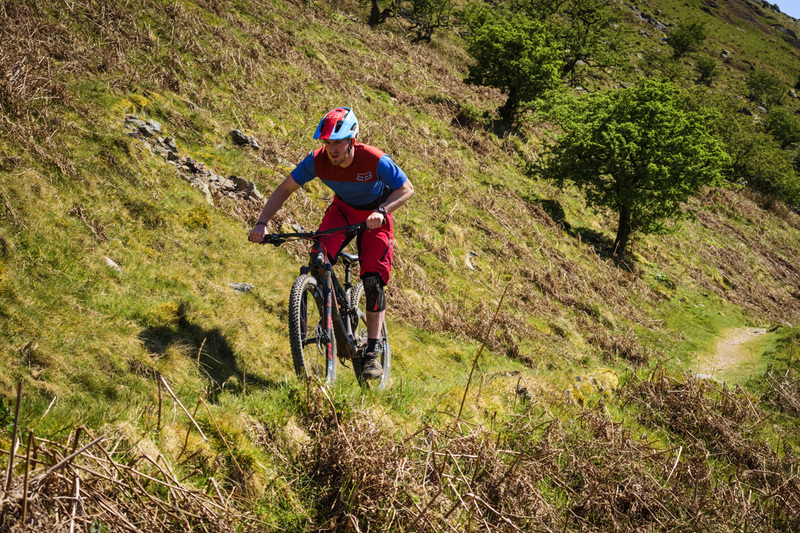 Ultimately, for riders who detest wearing knee pads at all, the Speed Knee Sleeves are comfortable, flexible, and unnoticeable enough whilst riding to make you wear them more often. 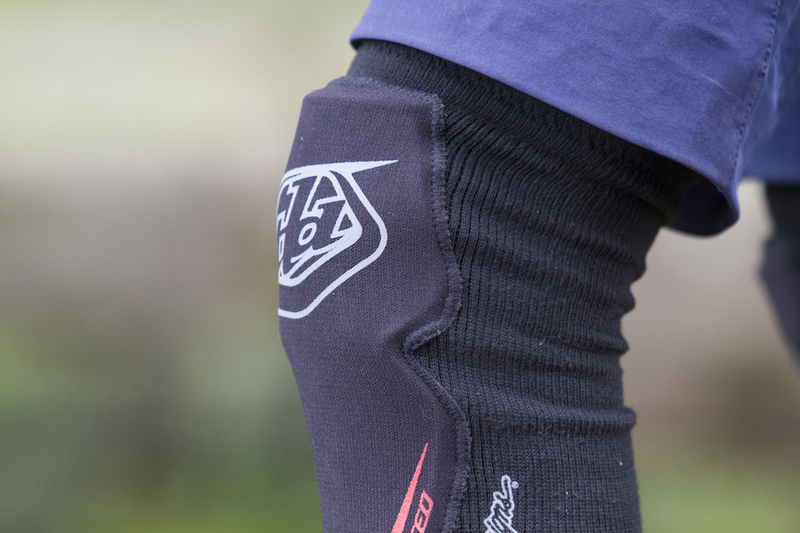 A highly comfortable and form-fitting knee pad that fits like a heavy-duty knee warmer. On that note, they are quite warm in use, so hot summer rides will see you sweating more than wearing something like the Dainese Trail Skins 2 knee pads. 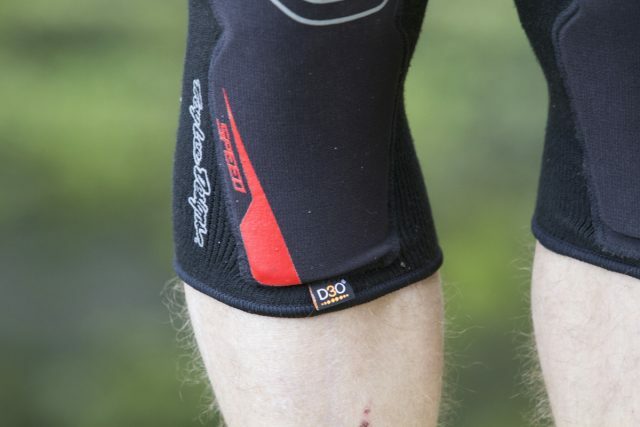 But when it comes to comfort, the TLD Speed Sleeves are the winner in our group test, hands (or is it knees?) down. And with the addition of D3O padding, the TLD Speed Sleeves offer genuine mid-duty protection for trail riders.